A fun and colourful art lesson all in a box ready for your little artist to create. 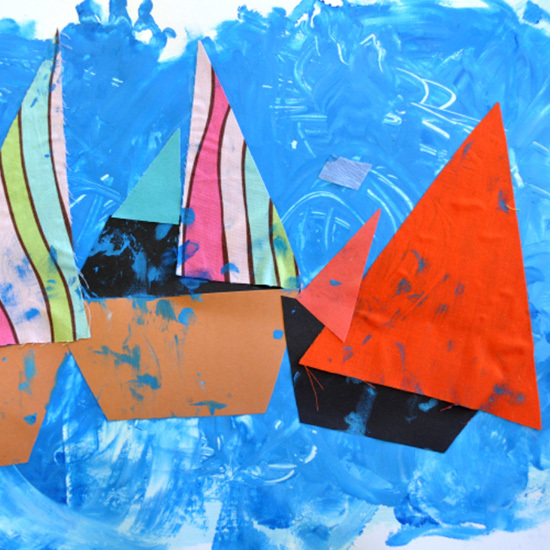 Start with inspiring sail boat drawing and play sheet to get familiar with the shapes and lines of a sail boat. Then when ready, using lovely quality acrylic paint, create an ocean of water colours (using brush or fingers) add waves and lines of motion. Collage sailboats in fabrics and card with flags a flying. Plenty in this pack with 2 canvases included.